Composed by Bob Good. Contemporary Classical, Repertoire, Latin, Recital. Score, Set of Parts. 7 pages. 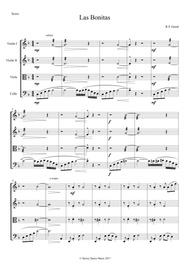 Published by Surrey Dance Music (S0.428211). 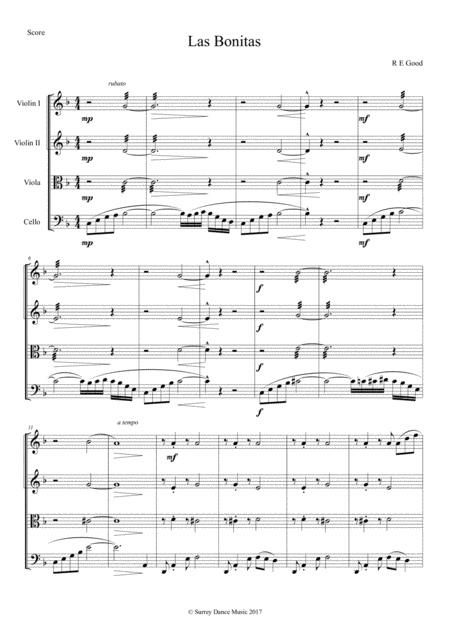 Bold and showy Tango for String Quartet. Starts with an agile cello solo, and the viola gets a solo in the middle, too.